Ideally sized for the windowsill. The base tray features our unique 2 tier drainage cell holes drainage holes while the cover features our easy to adjust 'dial' ventilator. 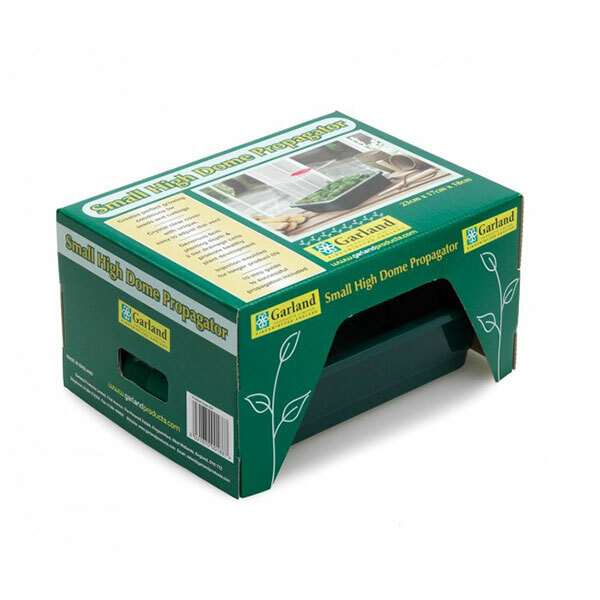 This propagator unit also features on our G50 Trio Top Electric Windowsill Propagator and G163 Four Top Automatic Temperature Control Electric Propagator.